Nicky Devlin: "Everyone in the Dressing Room is Right Behind the Gaffer"
The defeat to Coventry saw the Saddlers fail to score for the third game in a row and continue their overall slump in form as they remain just two points above the relegation zone having lost all five of their most recent league outings, putting them firmly at the foot of the form table. The former Ayr United defender, who missed a couple of games last month, has recently been amongst the Saddlers' star performers, including bagging a goal during the FA Cup - First Round victory over Coventry City, along with entering solid displays against Fleetwood Town and Sunderland. The Bishopbriggs-born defender had to make do with a place on the sidelines for the recent defeat to Southend United and the win over Wycombe Wanderers, but came off the bench during last weekend's defeat to Burton Albion before playing the full 90 minutes against Charlton Athletic on Tuesday evening. Nicky Devlin: "We Have All Got to Stick Together"
The Saddlers were defeated by four-goals-to-one in a tense match which saw a series of controversial refereeing decisions frustrate players, club officials and supporters as the strong unbeaten start to the season was brought to an end as goals from John Marquis (PEN), Mallik Wilks, James Coppinger, and Matty Blair, cancelled out Morgan Ferrier's opener to secure all-three points for the visiting side. The Saddlers have already eclipsed last season's Carabao Cup performance by reaching Round Two, and the 24-year-old is under no illusions that the Silkmen will provide a tough test, something that they will have to overcome of they are to make it to Round Three. 24-year-old Devlin, who made thirty-six first-team appearances after joining the club on a free transfer from Scottish side Ayr United last summer, believes that he can use all the experience he gained last season to 'kick on' and help the Saddlers avoid a repeat of their relegation-threatened campaign. 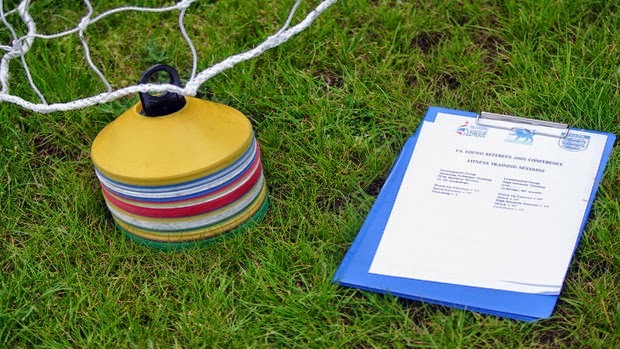 The 24-year-old defender, who made thirty-six first-team appearances after joining the club on a free transfer from Scottish side Ayr United at last summer, admitted that the first few days of training will be tough but he and his teammates will feel the benefit during the more difficult periods of the campaign. Nicky Devlin: "We Have to Go & Make it Happen For Ourselves"
The Scottish defender, who joined the Saddlers from Ayr United last summer, admitted that the team can't keep relying on other sides faltering as they have to go out and make it happen for themselves. Devlin, who has made thirty first-team appearances since joining the club from Ayr United on a free transfer last summer, went on to admit that he was at fault for the goal that saw Portsmouth secure the win on Saturday afternoon. Walsall right-back Nicky Devlin has spoken to club journalists following Tuesday evening's disappointing defeat to then bottom-of-the-table Rochdale and admitted that the game was probably one of the lowest points of the season. 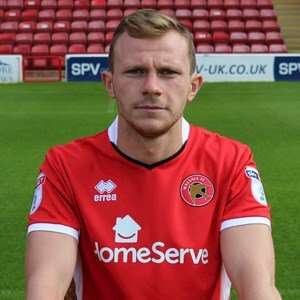 Saddlers right-back Nicky Devlin has spoken ahead of Saturday's League One clash with Gillingham and discussed his recent spell on the sidelines, admitting that he is pushing to retain his first-team place for the remainder of the season. Walsall right-back Nicky Devlin, who finally forced his way back into the starting line-up after losing his spot to Liam Kinsella, has spoken to the press ahead of this weekend's League One clash with Rotherham United, and discussed his desire to keep his place in the side. 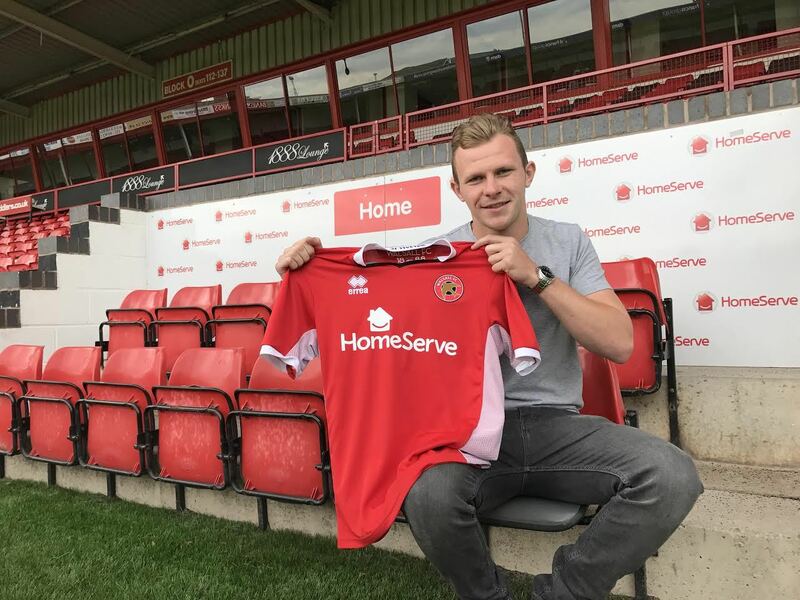 Devlin - "We're Not Getting the Results We Deserve"
Summer signing Nicky Devlin has spoken to the press ahead of Saturday's League One clash with Oxford United, and has discussed Walsall's away form, insisting that the Saddlers are not getting the points they deserve. VIDEO | Overnight Stay in Portsmouth - Initiation Songs & Magic Tricks! 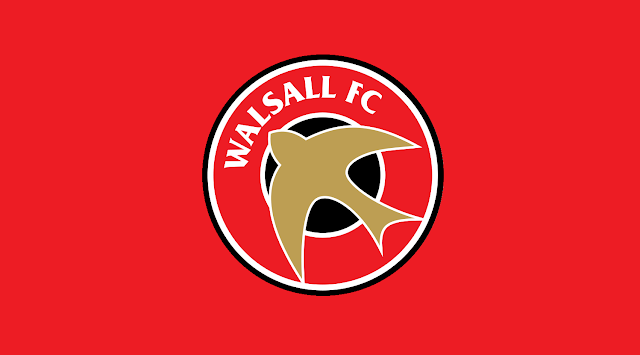 In the latest of Walsall FC's behind the scenes videos, summer signing Nicky Devlin takes the camera as the Saddlers embark upon their first overnight stay of the season when they took on Portsmouth at Fratton Park, a fixture which ended in a one-all draw. Summer signing Nicky Devlin has spoken to club journalists ahead of Saturday's League One clash with Portsmouth and discussed his excitement at the prospect of playing in front of a bumper Fratton Park crowd. In the latest of Walsall FC's behind the scenes videos, summer signing Nicky Devlin, who joined on a two-year contract after leaving Ayr United, speaks to Saddlers TV's Ashley Wilkinson and shares his excitement at the prospect of getting the campaign underway before discussing what he will bring to the team.